It was a difficult day for both Ferrari drivers, as two punctures towards the end of the race led to serious issues for both Sebastian Vettel and Kimi Raikkonen. Both drivers experience wheel punctures in the final laps of the race, forcing both to stop and pit at crucial points in the race. However, despite the difficulty, Raikkonen was still able to make the winner’s podium with a third-place finish. Despite a strong race and exciting start that included a false start as an extra formation lap, it all came down to a few crucial moments in the British Grand Prix, which was held in Silverstone on July 16th. The issues at the beginning of the race caused the total number of laps to be reduced to 51, meaning every lap was even more crucial for the drivers. After both Ferrari drivers fought hard to put forth a strong finish, issues with their tires led to a disappointing downfall. Due to the drivers switching from Supersoft tires to soft tires, and some extra braking to avoid other drivers, punctures were made, causing Kimi to stop in the final laps of the race, however, Vettel was able to make it without stopping. Despite his puncture, Kimi was able to maintain is third place with a truly impressive finish with a time of +36.570S over Mercedes driver Lewis Hamilton’s first-place finish with a time of 1:21:27.430. Vettel didn’t get off as easily, succumbing to a seventh-place finish with a time of +93.989S, hurting his overall standing in the Drivers’ Championship. Despite this setback, the Ferrari racing team is poised to learn from its mistakes in the upcoming Formula One races. 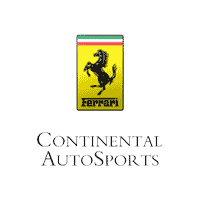 For more updates on Ferrari’s performance in the Formula One Championship, be sure to check out the rest of our blog here at Continental Ferrari, and check back with us later for more updates. If you’re interested in getting a Ferrari model of your own, feel free to contact us online or give us a call for more information.